The Statin Drug industry puts profits ahead of people and truth. Dr. Uffe Ravnskov, M.D., Ph.D., Exposes the Cholesterol Scandal and the Truth About Statin Drugs. The Statin Drug industry puts profits ahead of people and truth. Dr. Uffe Ravnskov exposes the scandalous behaviour of the pharmaceutical industry that is behind today's cholesterol mania. In this paper about Statin Drugs and their side effects, written for English-speaking laymen, the renowned Swedish medical doctor and researcher accuses big money of corrupting medical science and endangering millions. Research on cholesterol is very profitable. Dr. Uffe Ravnskov released a paper today exposing the Statin Drug industry and the side effects of Statin Drugs. Entitled, "The Cholesterol Scandal and the Truth About Statin Drugs", the paper reveals facts that contradict information that has been broadcast for years by the pharmaceutical industry. In 1953, Ancel Keys erred in a paper where he chose data that supported his hypothesis that fat causes heart disease and left out sixteen countries that were available which would have negated his hypothesis. In 1957, Keys’ error was revealed, but nobody reacted. In 1961, William Kannell head of the Framingham Project published a paper that stated that of a few thousand those who had died of a heart attack (six years earlier) had had slightly higher blood cholesterol. Dr. Ravnskov states, "High cholesterol, for instance, is not a risk factor for women or healthy people, and more than twenty studies have shown that old people with high cholesterol live the longest. Many studies have also shown that people with low cholesterol become just as atherosclerotic as people with high cholesterol." In 2009, "Ashwin Sachdeva and his co-workers found that the mean LDL-cholesterol in 136,905 patients referred to hospital because of an acute heart attack was lower than normal, not higher." Later that year, similar results were found by Mouaz Al-Mallah and his co-workers at Henry Ford Heart and Vascular Institute in Detroit. Unbelievably, "The authors of these papers did not question the cholesterol hypothesis, however. Instead they concluded that cholesterol had to be lowered even more." In 1987, Dr. Ravnskov goes on, the 30-year Framingham Project follow-up concluded, "For each 1 mg/dl drop of cholesterol there was an 11 percent increase in coronary and total mortality." Yet in the medical journal "Circulation" prominent US cholesterol researchers misquoted the Framingham follow-up study saying that "The results of the Framingham study indicate that a 1% reduction...of cholesterol corresponds to a 2% reduction in CHD risk." "The pharmaceutical drug industry and those who produce margarine and vegetable oils pay researchers who praise the cholesterol hypothesis. Those companies are generous because they can afford to be generous. "The medical journals profit as well. The problem is that if they accept a paper questioning the anti-cholesterol campaign the flow of money stops. "Last year the drug industry alone sold statins for almost 30 billion dollars and their income from statins increases year by year, because it is much more profitable to sell drugs to healthy people than to patients because there are more healthy people than sick people." Worst of all is that the cholesterol lowering drugs are much more harmful and they hurt many more people than we have been told by the drug industry. In his paper Ravnskov gives a scary overview about this issue. Evans Consulting Services established SUE! Statins! 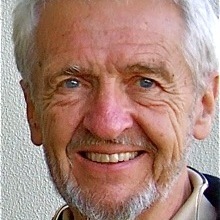 in 2012 to alert the world to the public health menace of Statin Drugs: "Medicine must be taken away from people who are motivated by greed and returned to people who are motivated by compassion," Evans says.